Home Northern Life Entertainment Yorkshire Independence Why We’ll Be Reet! It’s an understatement to say that Yorkshire folk are somewhat proud of the White Rose County, but there is good reason behind it. We have some of the most stunning views, beautiful coastline and exciting cities in the country, so why shouldn’t we crow about it? With such a strong regional identity, it’s not a surprise that the idea of claiming some of the power currently wielded in London and redistributing it up the M1 has been bubbling around for a while. The government’s Northern Powerhouse scheme seems to have stalled, which is a blessing for many Tykes who feared they would have to collaborate with Lancastrians of all people. In addition, devolution on a par with Scotland and Wales is stuck in limbo as arguments rage over which plan is the best way forward for God’s Own Country. 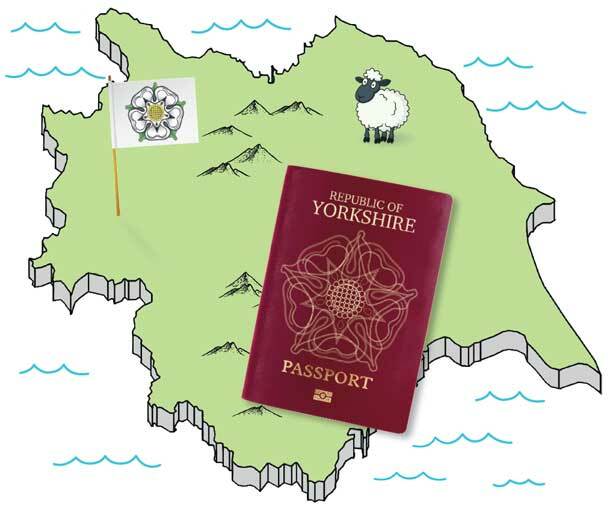 So, this leaves just one way forward – full Yorkshire independence. People will tell you it’s not workable for Yorkshire to become its own country, that it won’t benefit us and that it’s pie-in-the-sky thinking (hopefully with lashings of gravy-in-the-sky), but those people are not Yorkshire folk. We know it makes sense and, if we’re being honest, we’re halfway there already. Here’s a manifesto that proves that when it comes to Yorkshire independence, we’ll be reet. The first thing any independent nation needs is a national anthem. Something to play at the end of the night’s screenings at the Ritz in Thirsk or the Curzon in Sheffield. 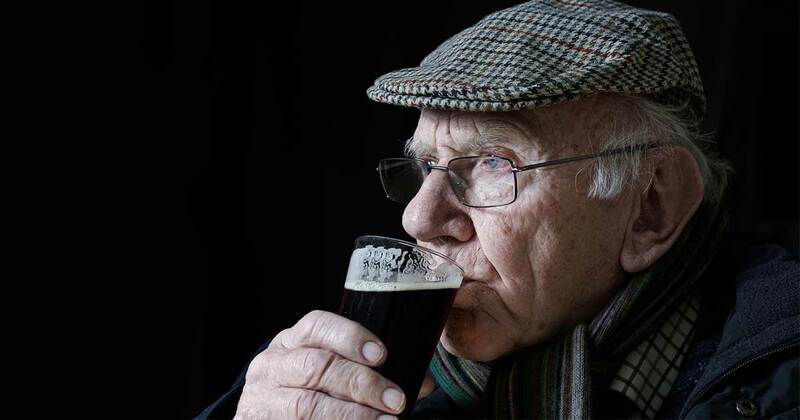 Something to bring a tear to the eye of even the most stoic of Yorkshire folks. We already have it; it’s On Ilkla Moor Baht’at. This is the perfect tune to represent this fine county. It’s already in Yorkshire dialect, sounds great when performed by a brass band and is just dark enough in tone to psych out our opponents when it is played before a major sporting event. 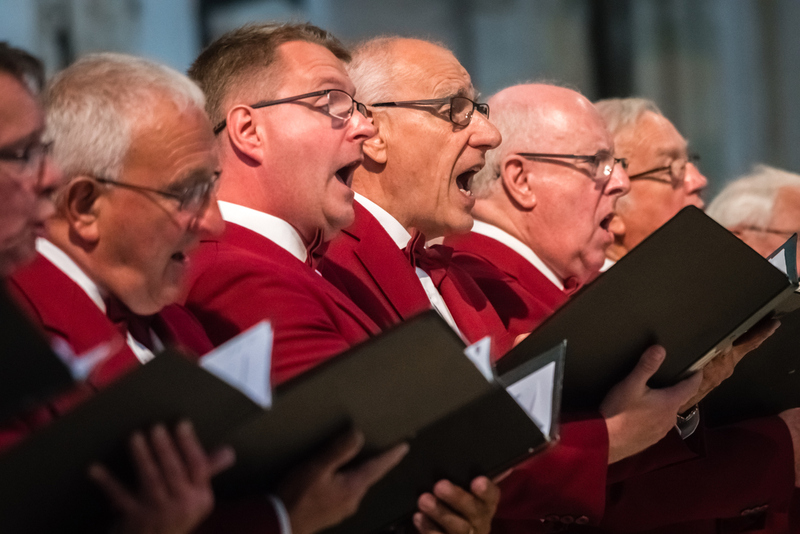 If you are unsure as to whether you should represent a country with a ditty based around someone dying of exposure and then being eaten by worms, who are then eaten by ducks, who are consumed by the people singing the song, just consider that the anthem of St Helena is a country and western tune written by a man who had never visited the island. That makes our anthem seem a lot more sensible. Speaking of TV, independence is the ideal opportunity to bring back the Yorkshire TV brand. We have our own soap in Emmerdale, we would immediately wrestle Countdown back to its spiritual home from Manchester and we can rely on our glorious programme-making pedigree that has produced such shows as Rising Damp, 3-2-1, Fat Friends and Happy Valley amongst many others in the past. With top writers such as Kay Mellor, Lisa Holdsworth and Sally Wainwright hunched over their laptops, the new, independent Yorkshire Television cannot fail. Oh, and our 24-hour rolling news channel needs Harry Gration to host all day, every day. We better make provision in our first independent Yorkshire budget for a lorry load of caffeine-based beverages to be stockpiled at the studios. It will be a great loss to the rest of the UK when we separate and take with us the greatest fish and chips in the land, but it is a necessary part of Yorkshire independence. Of course, UK tourists will be able to take bus tours of the finest chippies in the People’s Republic of Yorkshire, if we decide to grant them a visa. 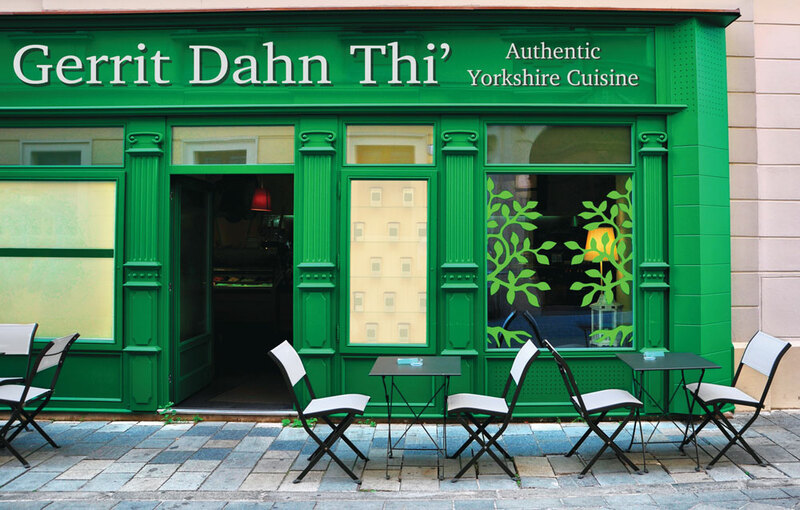 I imagine that, as we currently have Italian, French and Chinese restaurants, the rest of the country will soon see Yorkshire restaurants pop up on their high streets. The interior will be decked out to represent the prom at Whitby, perhaps with the sound of menacing seagulls circling and about to attack piped into the room to add a little realism. Of course, it’s not all good, hearty stodge. Yorkshire boasts five Michelin starred restaurants, so we’re more than equipped for fine dining post-Yexit. The Yorke Arms near Harrogate, The Pipe and Glass in South Dalton, The Black Swan at Oldstead, the Star Inn in Harome and The Man Behind the Curtain in Leeds have all been bestowed with this foodie honour and means that our own Yorkshire version of Masterchef: The Professionals (provisionally to be called Master Chef: T’Professionals) will be the envy of the world. 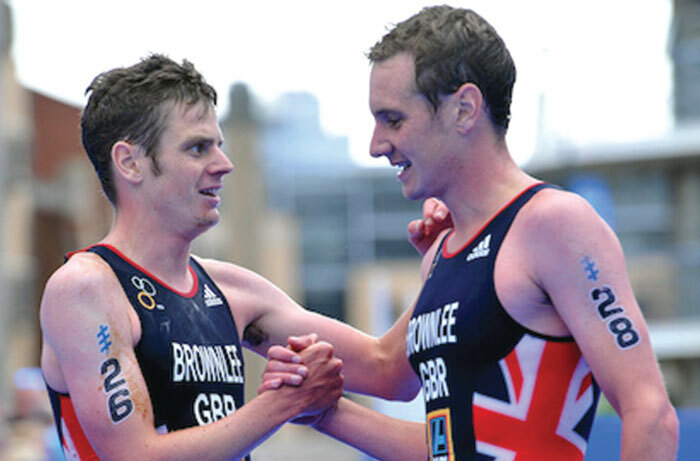 It’s not just our anthem that will help Yorkshire rule the sporting arena; we also boast a fine athletic pedigree. Who can forget the performance of Yorkshire competitors such as the Brownlee brothers from Bramhope, Sheffield’s star heptathlete Jessica Ennis-Hill and Leeds boxer Nicola Adams, amongst others, at the Olympics in 2012? Yorkshire competitors brought home seven golds as part of a haul that would have placed the White Rose County at 12th in the overall medal table. We outperformed New Zealand, Spain, Brazil, Netherlands, Canada and Tajikistan to name but a few. Following Andy Murray’s recent injury woes, Britain’s number one male tennis player is a Yorkshire lad. Kyle Edmunds grew up in Tickton near Beverley and will be at the forefront of our new country’s assault on the Wimbledon crown. Forget strawberries and cream, once Kyle lifts the trophy we will insist they serve Yorkshire rhubarb alongside a sparkling white from one of our fabulous vineyards, located variously in Leeds, Holmfirth and York. Yorkshire also boasts its own international football team. The Vikings, as they are known, formed in 2017 and play in a confederation of teams representing stateless or disenfranchised people. Of course, they would have to apply to move across to the jurisdiction of UEFA and FIFA after independence, so they are ready to take on the challenge of qualifying for the 2022 World Cup. At the time of writing, Yorkshire have won three of their five international games, most recently overcoming Panjab 5-4 at Ossett. Bring on Brazil. Our cultural depth stretches beyond television, though. National Geographic magazine listed West Yorkshire amongst the coolest destinations on earth in 2018, thanks in part to the Yorkshire Sculpture International coming to the county this year. The event is hosted by the Yorkshire Sculpture Park, Leeds Art Gallery, the Henry Moore Institute and the Hepworth Gallery in Wakefield. These establishments are often referred to as ‘the Yorkshire Sculpture Triangle’ and, in their honour, all triangles in an independent Yorkshire will have four points. We have a number of great arenas for live music from major artists in Leeds, Sheffield and Hull, the Bradford Odeon is being resurrected and that city also boasts the magnificent Science and Media Museum. Hull Truck Theatre is revered around the world and Leeds is home to Opera North and the Northern Ballet. Independent Yorkshire has all the high-brow entertainment you need. 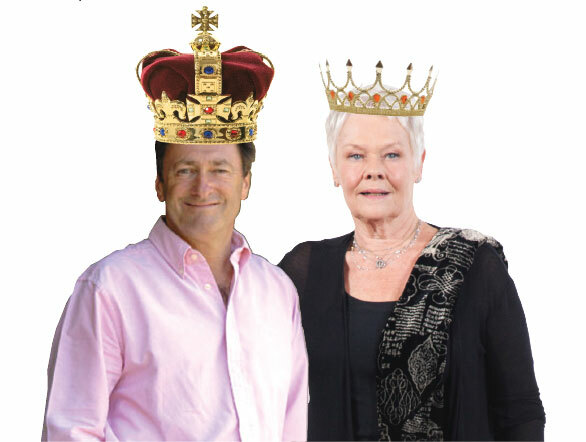 Titchmarsh and Queen Judi Dench). We can’t afford to spark a civil war so early in our independent country’s life, so there is only one solution. The capital of Yorkshire must, I repeat must, be Wetwang. I told you we’d be reet.